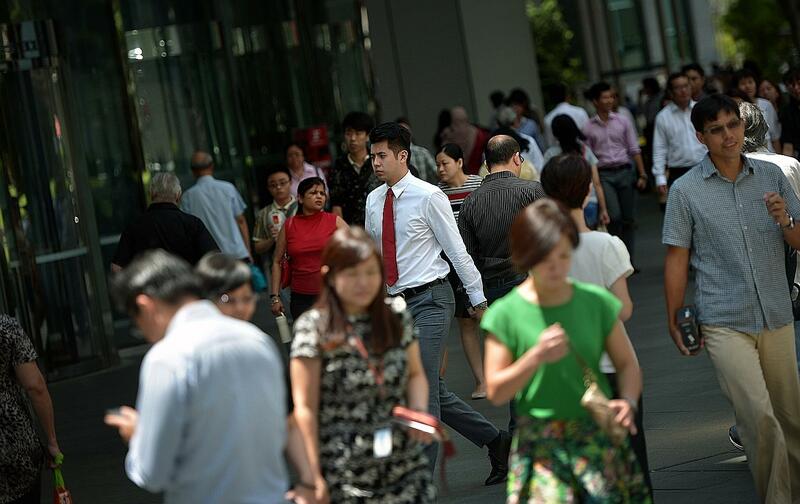 More Singapore residents today do not identify with any religion, compared with five years ago. The Department of Statistics General Household Survey (GHS) 2015 found that those who said they had no religious affiliation constituted 18.5 per cent of the resident population last year, up from 17 per cent in 2010. More of those in this category were from younger cohorts. This is an important finding, for changes in religious affiliation give us some insight into the cultural shifts that are currently taking place and will accelerate within society. This is both at the level of ideology and social structure. Religion provides some of our core values, beliefs and attitudes and structures our roles and relationships. The simplistic conclusion that can be made from the GHS report is that Singaporeans, especially the young who have access to education, are becoming secular rationalists, with religion seemingly on its way to oblivion in our modern society. But sociologists who have examined patterns of religious disaffiliation globally warn against hasty generalisations based on data on religious identification. What people mean when they declare that they do not belong to any religion is contested. For one thing, we know that those who say they have no religious affiliation are not precluded from subscribing to supernatural beliefs. In an Institute of Policy Studies (IPS) Working Paper on Religiosity and Religious Harmony published in 2014, my co-authors and I noted that based on survey data of over 3,000 Singapore residents, out of those who had indicated that they were not religiously affiliated, 42 per cent held on to some form of supernatural belief. The data was derived from the IPS Survey on Race, Religion and Language. In addition, around 21 per cent believed in God and about the same proportion accepted the existence of spirits. Less than 5 per cent, though, regularly attended any religious meeting or prayed. However, this does not necessarily mean that they are opposed to obtaining religious services at different points in their life. In fact, studies in Japan show that this seems to be the case even among the many who describe themselves as not religiously affiliated. There is clearly then substantial heterogeneity among the non-religiously affiliated - a spectrum that scholars describe as ranging from "believing without belonging" to "neither believing nor belonging". IPS' survey data also found that of those who reported that they no longer practised the religion they were born into, 94 per cent had been born Buddhist or Taoist. This might concur with the GHS findings which indicate a small decline in Buddhism and Taoism - with those originally from these religious traditions possibly having no religious affiliation now. In the 1990s, when scholars were examining the decline of Buddhist and Taoist adherents, they observed that younger, well-educated English-speaking Chinese did not find the ritual observances in these religions meaningful to them. Those among this population who were interested in religion were instead attracted to Christianity, which they considered a more rational religion with its emphasis on learning, and a worship style which resonated with their emotional, spiritual and social needs. The Christian population in Singapore continues to grow, although at a much slower pace than in previous decades. The GHS data prompts some pertinent questions for Singapore society. One is whether religion, even if it experiences a decline in affiliation in the coming years, will continue to be a social force to be reckoned with in Singapore. Much of this will be determined by whether the religiously affiliated continue to be passionate and committed to their traditions. If they invest substantial time and resources, even if they constitute a small number, their impact will be discernible. This certainly is the current reality, with many religious groups reporting supporters who are eager to do their bidding. The large amounts donated to religious buildings, the efforts that religious groups are pouring into charitable causes, and the many accomplished locals and new migrants who are volunteering their skills and time in a range of religious organisations will ensure that the the religious landscape here continues to be vibrant. How will this more fervent and involved religiously affiliated population deal with a growing group of religiously non-affiliated? Theoretically, there would be little problem if faith was deeply privatised. However, this is not the case, especially among Muslims and Christians in Singapore who find their conservative brand of religion an important part of their identity. The GHS data prompts some pertinent questions for Singapore society. One is whether religion, even if it experiences a decline in affiliation in the coming years, will continue to be a social force to be reckoned with in Singapore. Much of this will be determined by whether the religiously affiliated continue to be passionate and committed to their traditions. For this group which is likely to see continued growth, the desire to live out the ideals of their faith and oppose the forces which may contravene this mean that they, at least sometimes, may apply their beliefs on social norms. Such public displays of faith, including pronouncements by religious leaders of what is deemed as unacceptable or immoral, are bound to irritate those with different religious beliefs, and those with no religion. While the latter might be accepting of the supernatural, they may be less likely to condone religiously affiliated groups' insistence that others conform to their conservative social attitudes. Those with different religious beliefs may also not like to have social freedoms for everybody circumscribed by the conservative dictates of a segment with different beliefs. This is especially so if they perceive that society's freedoms will be impinged upon, if religious organisations have the upper hand in influencing Singapore's secular culture. While religious groups and leaders have learnt how to engage in dialogue with one another through various state-organised mechanisms, such as the Inter-Racial and Religious Confidence Circles, their facility in engaging those with no religion (especially those who push for secularism) is much poorer. The shared history among religious traditions of keeping faith in a modern world provides them some commonalities to engage in dialogue. Perhaps it is time for people with no religious affiliation to be included in dialogues with the religious. This might foster greater sensitivity among the religious and those with no religious affiliations to understand mutual concerns and find ways to negotiate potential tensions in order to preserve a cohesive Singapore society. This should commence now while a substantial portion among the religiously non-affiliated are still "believing" and sympathetic towards matters of faith. The writer is a senior research fellow at the Institute of Policy Studies.